As the title says, these are advanced projects. And thus mostly meant as inspiration and motivation. In the end of this post you will however find information about an entry level bipedal robot. This first robot is huge! And might not be the first project you’ll build. Actually you might never get to build this unless you have a lot of money and spare time. Or you could be lucky and work at a place that would find this kind of project interesting. InMoov was developed by Gael Langevin who is a French sculptor and designer. If you watch the video below and totally fall in love with InMoov, but don’t have the resources to make all of the robot, dont worry. You can easily start with the fingers, a hand and then maybe a full humanoid robot arm! For more information about how to get started with InMoov, take a look at inmoov.fr . This one is so cute, and I totally want one! A humanoid robot like Poppy is absolutely my ultimate goal. But maybe once I’m done with my masters in Computer Science and Engineering and hopefully get a well paid job. The Poppy humanoid would however be a cool university project! Luckily the Poppy Project has also made it relatively easy to get started without building a full (super cute) Poppy. Instead you can start with the Poppy Torso or the Ergo Jr robot arm. For more information on how to build these project go to poppy-project.org . This next robot is one that is used in some of the soccer Robocup competitions around the world. In the video below is a walk test of a Darwin-OP clone which is made using these instructions on instructables. Just like the previous robots this can be an expensive build because of the smart servos used. If you have the cash and don’t want to make it all from scratch, it is also possible to buy an original Darwin-OP (or ROBOTIS-OP). One place to buy it is here at robotshop.com . Now if you like the Darwin robot but can afford the “real” thing, it is also possible to buy a Darwin-Mini. The Darwin-Mini is a cute smaller version of the original Darwin-OP and should also be easier to get started with. Feeling a bit frustrated with the prices of the above robots? But you still really want a top notch humanoid to program and mod so it can be your best friend/assistent/what-ever ? Then this next project might be for you. While the price is still not student friendly, it is a big step down from the previous robots. The Bioloid still uses smart serial servos, but a variant that is a bit cheaper than the ones used for Poppy and Darwin. Actually the instructions on instructables for this Bioloid clone was made by the same guy how made the instructables for the Darwin clone. His reason was that even though it is cheaper the build your own Darwin than to buy one, he knew that the price tag was still to high for most people. 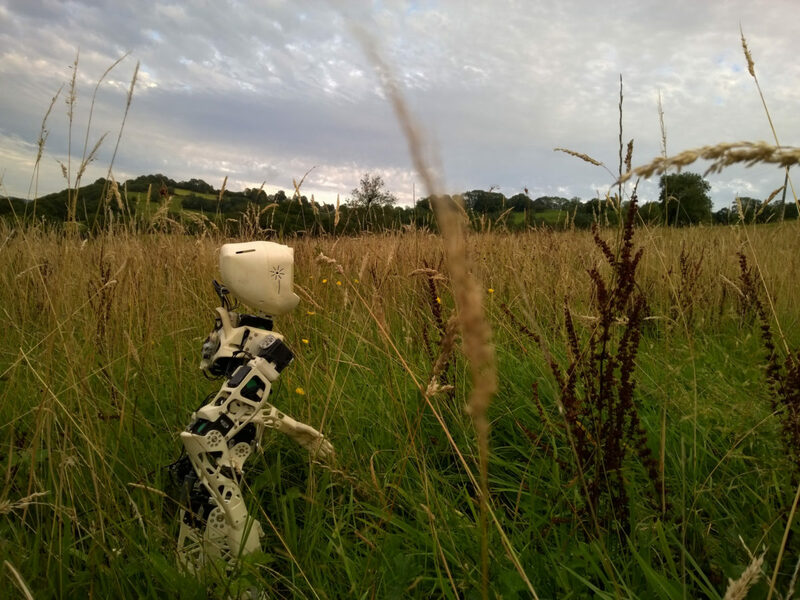 So he made this instructable on how to build a humanoid robot for under 1000 USD. Okay so all of the robots above might be well beyond your paycheck? Luckily there are other places to start! But first I have to note, that the reason that the robots are so expensive is, that it requires a lot of servos if you want to make a robot with enough joints to make it seem human-like. In addition the needing a lot of servos, the servos used are smart servos which can also have a higher price tag than normal servos. It is of course possible to make smaller and more simple bipedal robots. These are also good practice while you save up money for those 17-18 smarts servos you need for a bigger robot! I hope the videos in this post were inspirational. I am currently building a version of Bob the Biped myself. When it is done I will try to make a post about the build, how to get started and also ideas on how to make a simple biped robot more advanced.